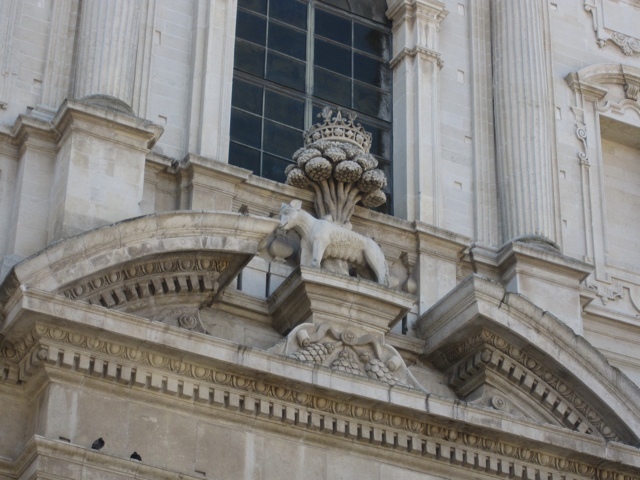 Post by Wynette: Lecce is filled with baroque architecture. There are something like 50 huge baroque churches here. I don’t really like the baroque style very much (miss the stunning simple 1000 year old churches in northern Italy, such as the duomo in Florence) but I think anything like that was destroyed here and everything rebuilt in the 1500s. But, I do like this (picture below). I believe there is a legend about a wolf associated with Lecce but I haven’t gotten clear about it.